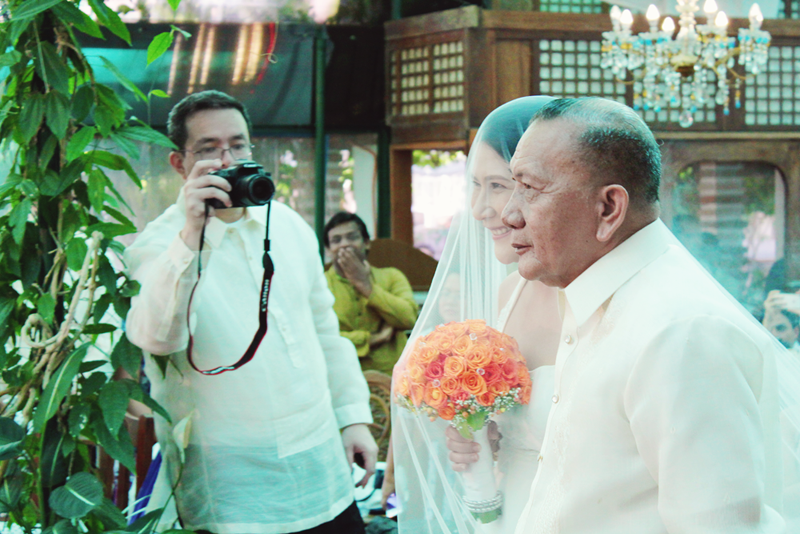 "Ako ulipon sa gugmang gi-atay," the french groom ended his vows with these words. 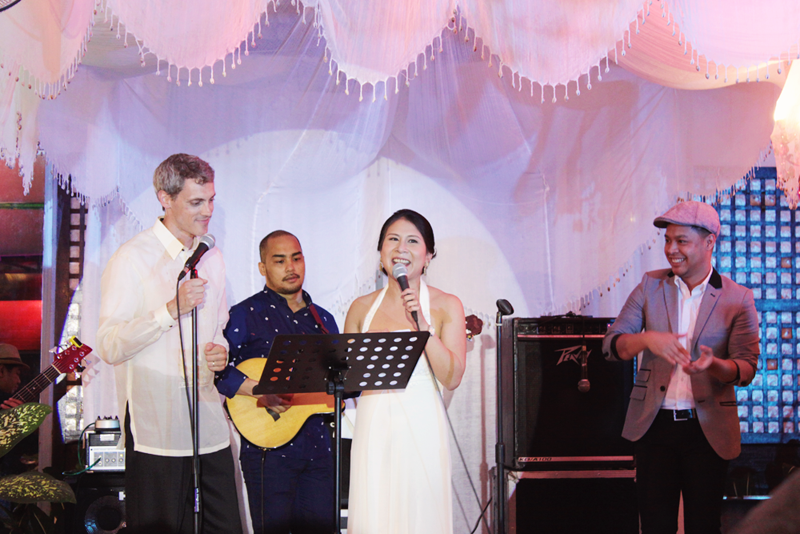 The bride, S, a true-blue Cebuana laughed, clearly touched that the man she loves is making an effort to speak her language. It was heartwarming. 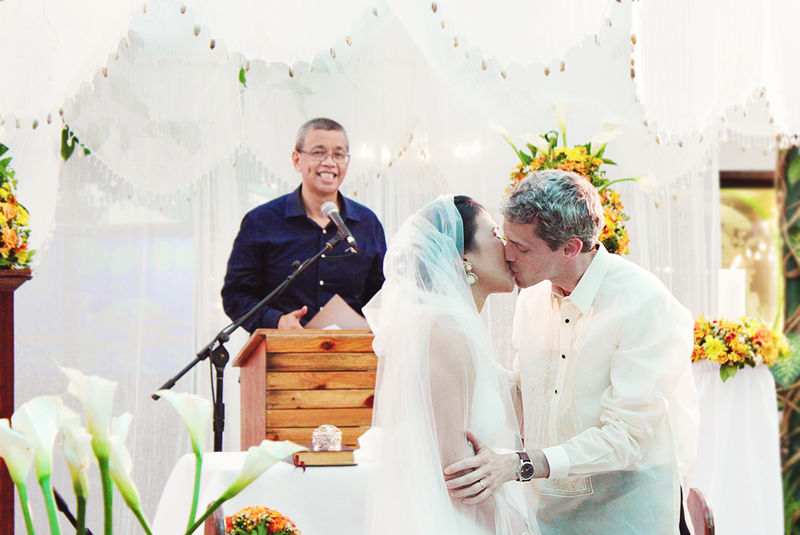 This was their second wedding and it was such a privilege to witness it. 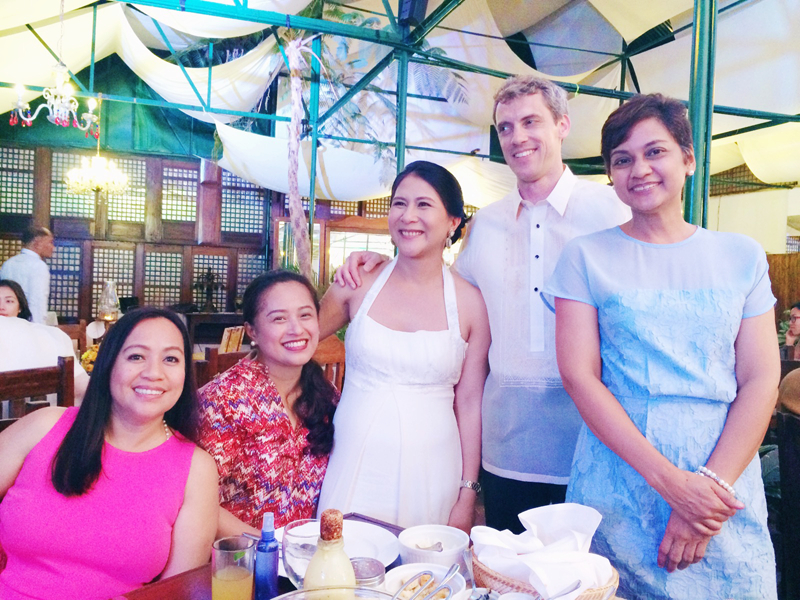 I was, in fact, teary-eyed when S, who I have been friends with since my UN days (we were colleagues), walked down the aisle. This girl has a special place in my heart, almost like a little sister to me. 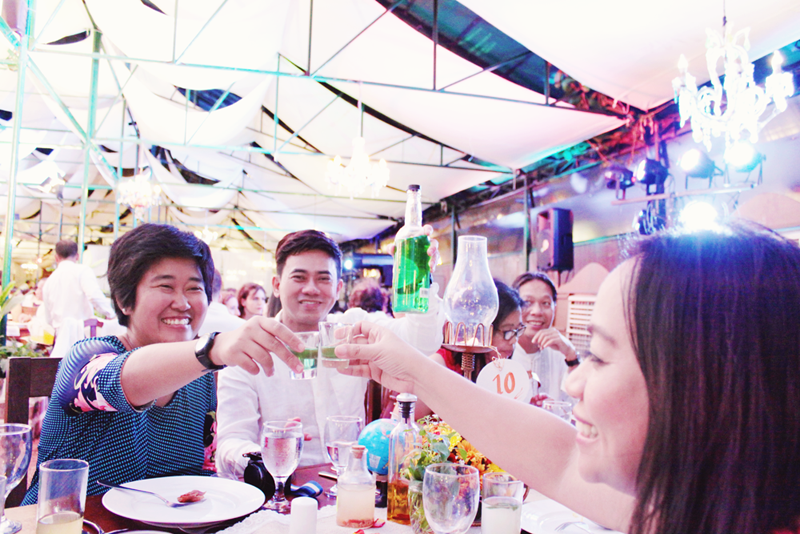 And although our get-togethers are rare and far-between, our conversations are always enriching. A few years back, she went to the US to take her second master's degree at an Ivy League school, became an exchange student in Paris, and after graduation, she decided to stay in the most romantic city in the world. That's where she met Y, a rocket scientist (I kid you not). They got married in 2013 (in Paris), had their lovely little girl J in 2014, and this year, they wed again for those of us who were not able to attend the first wedding. 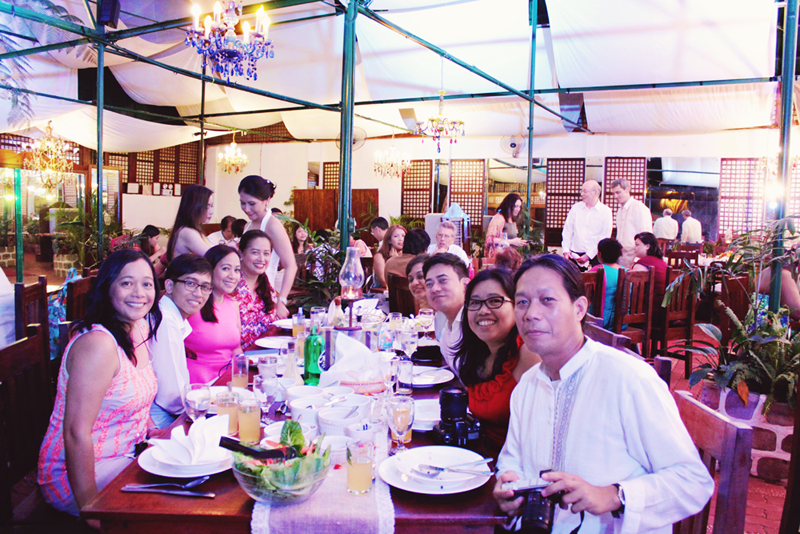 Family and friends flew in from different parts of the world -- Cebu, Iceland, Thailand, Africa, France, etc. -- to celebrate S&Y's love. 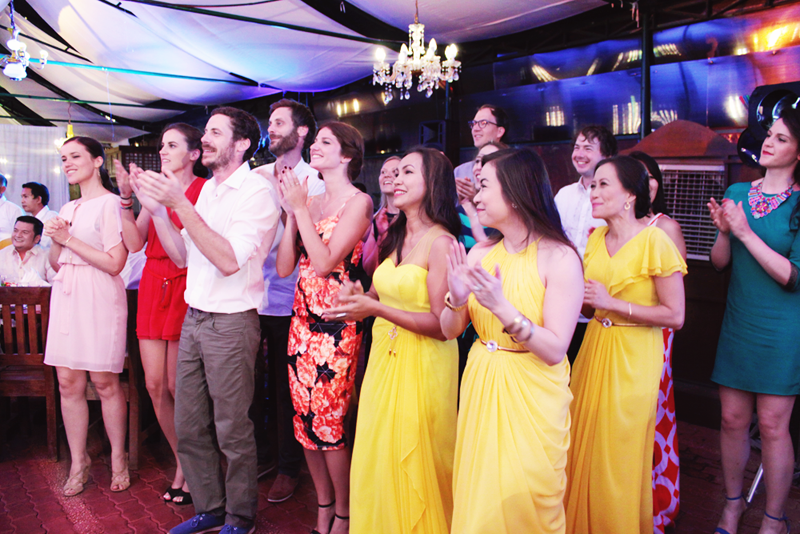 There were lots of singing and dancing and good food and laughter and conversations. So much fun we all had! 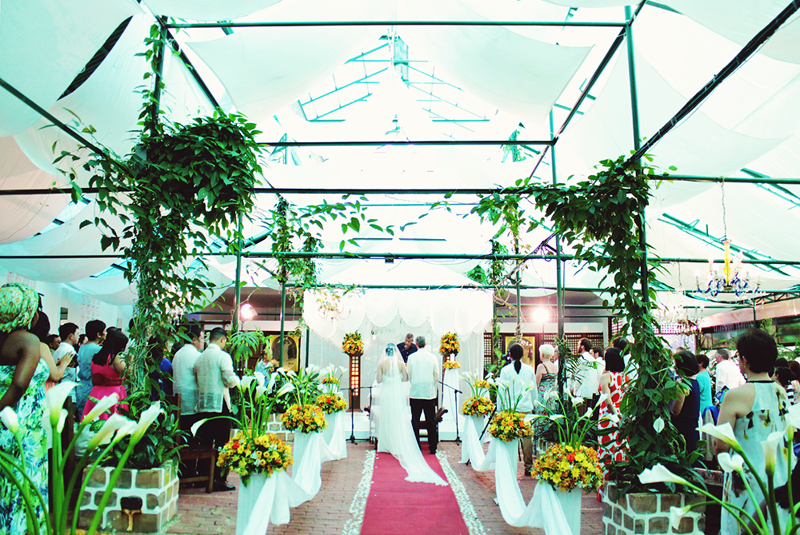 The wedding was held at Sonya's Garden in Tagaytay last month. Everything looked exquisite. 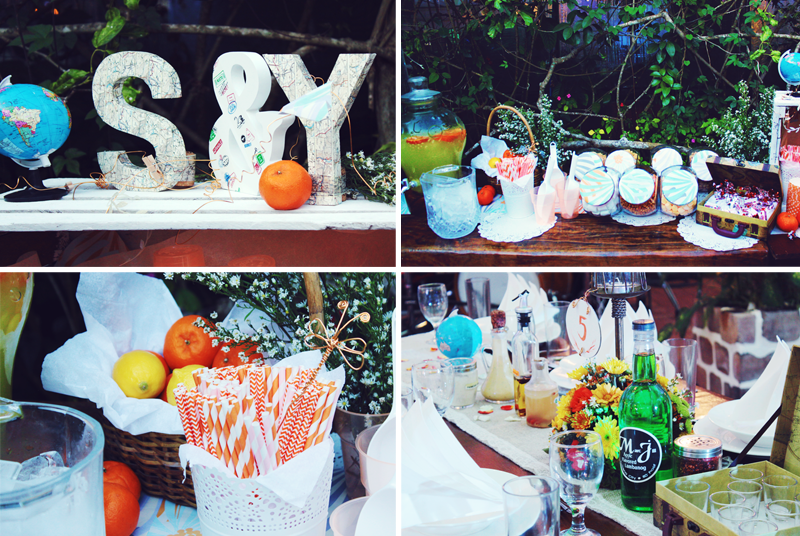 Sonya's did a good job decorating the venue, never missing a detail. Even the big wedding sign at the highway was beautiful. I took very few photos that day and here's sharing some of them.